After a very tiring and exhausting year as a PGCE student, I was very fortunate to secure a job at a wonderful local school. I was so happy. I worked at this school from 2010 until 2016. I have mixed feelings about my NQT year and I can certainly empathise with teachers struggling in the first or early years of their careers. 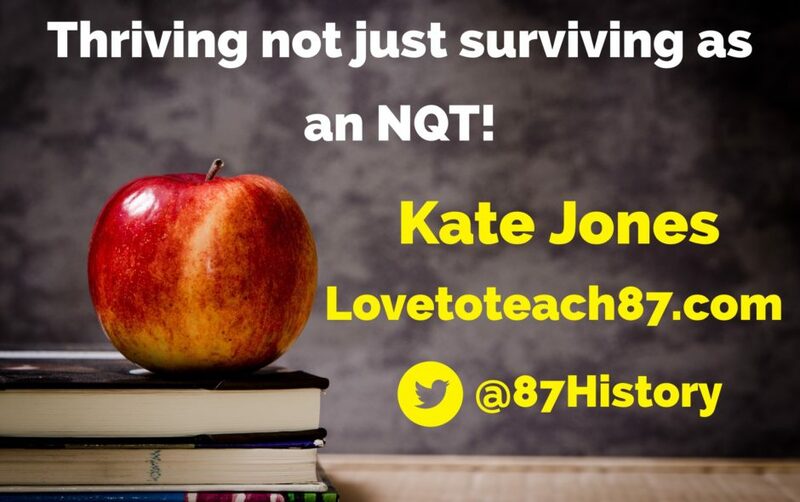 Through my teaching blog and Twitter account, many NQT’s have contacted me. Messages of thanks and gratitude for sharing resources that they have used in their lessons. I have also received messages asking for general advice or support. I try my absolute best to help in any way I can. I have read many fantastic blogs that are targeted at Newly Qualified Teachers. Here are some recommendations: a great blog by the very experienced Andrew Old with advice on behaviour, teaching and preparation which can be found here. An article appeared in the TES by my good friend Tom Rogers reflecting on what he wish he knew as an NQT is worth a read and Carl Hendrick also reflects on ‘Five Things I Wish I knew when I started Teaching’. All very different but useful, helpful and insightful! 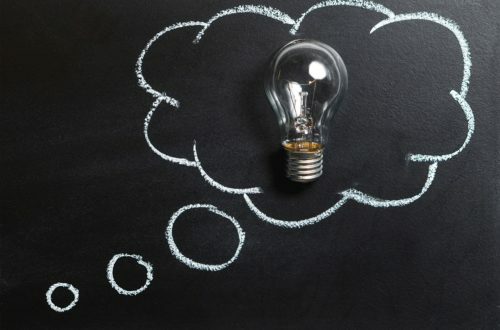 Reading these blogs and articles I decided to reflect on my own experience and put together some useful suggestions based on things I wish I had known as an NQT (hindsight is a wonderful thing!) and that I hope will be helpful to other teachers. Also, the first year teaching is an opportunity to progress, thrive and flourish as a teacher. 1. Become familiar with Unions & school policies! Most PGCE students and NQT’s can join Teaching unions for free or at a very low price. I strongly recommend you do and also take full advantage of what the unions can offer. I was a member of the NUT -National Union of Teachers. I initially joined a union because I was told to “just incase” anything happens. However, when I discovered what my union had to offer it was an eye opener to say the least! I was invited to the NUT Young Teachers Conference in North Wales during the Easter holidays 2014. The NUT paid for me to stay in a beautiful hotel on the sea-front where the conference took place and they provided all meals and refreshments over two days. I thought this would be a good opportunity to meet and network with other young teachers from the area and actually find out what the Unions do. The conference was very interesting and helpful. The NUT representative Neil Boden clearly explained what was expected of Teachers and what wasn’t expected or classed as acceptable – I was very surprised by this information. Of course, teachers are often very happy and prepared to go above and beyond but we all have our limits. Join a union and become educated about the policies in place at your school. The irony of my advice is that now I teach abroad there are no longer unions in place to protect teachers but if you are in the UK then this will apply to you. This links with the Union advice. Of course, as an NQT you are enthusiastic, keen to impress and make your contribution to your school. I really enjoy attending concerts and the pupils do appreciate it too. However, this does not mean that you have to attend every single performance, sporting match, weekend activity or volunteer at every opportunity! Show commitment and that you are prepared to contribute but do so at a time that suits you and something you feel comfortable doing. For example, at a time when you are struggling with your workload don’t volunteer to give up your evenings or weekends! Think carefully about what and when you offer your time. It is ok to say no – other members of staff do, so why can’t you? Prioritise. 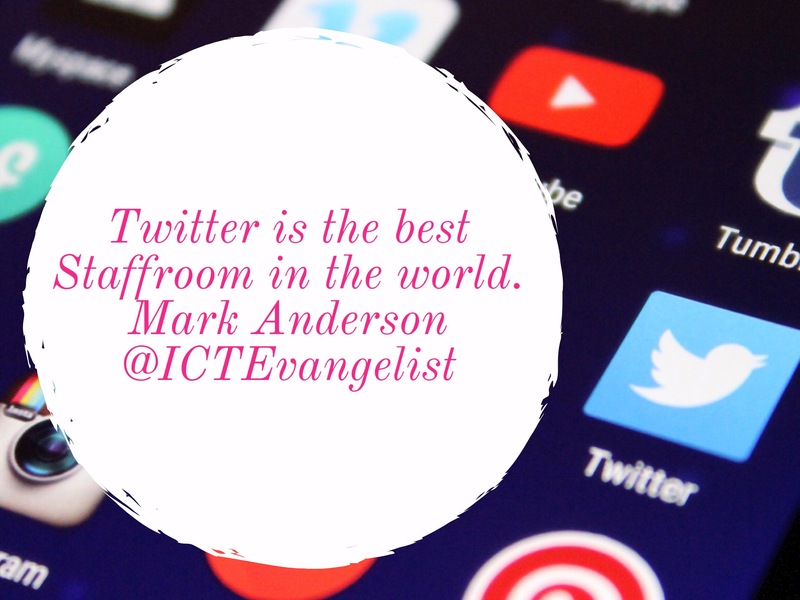 If only I had joined Twitter as an NQT! 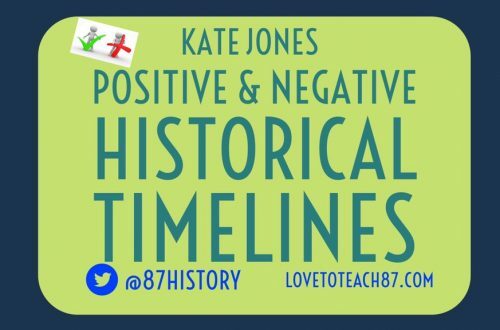 There are so many teachers online sharing blogs, research and resources every single day. It can be a wonderful platform for continuing professional development. If you don’t have the time or confidence to contribute online then that is fine as there are no expectations. 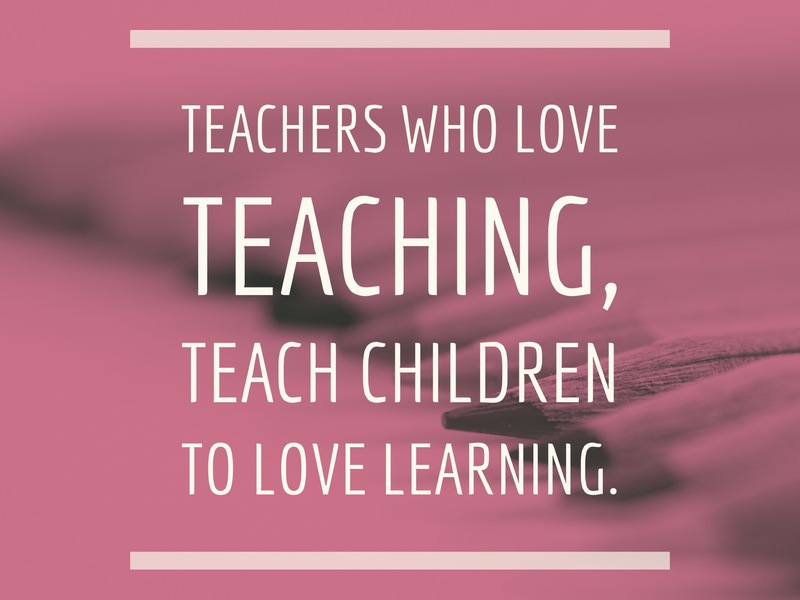 Some teachers share, some take and some do both. Think about your purpose for being online- is it to gain inspiration? Support or be supported? Learn from other educators? Get involved in the debate? Once you have a clear purpose and focus that will help you not get lost in the edu Twitter world. Every Thursday night at 8pm GMT follow the hashtag #UKEdchat to get involved in a Twitter discussion surrounding education or check out #PedagooFriday to see teachers proudly sharing their highlights of the week! Read and reflect is essential to progression and development. Read blogs, articles, research, books connected to education. I have reviewed various educational books on my blog. 4. Don’t put too much pressure on the “dreaded” lesson observation! It has now been clarified that Ofsted does not require lesson plans and thankfully they do not grade lesson observations (although many schools do still do this). Previously, teachers were known to spend much more time on lesson plans for observations than they usually do – so that doesn’t really reflect an authentic experience. 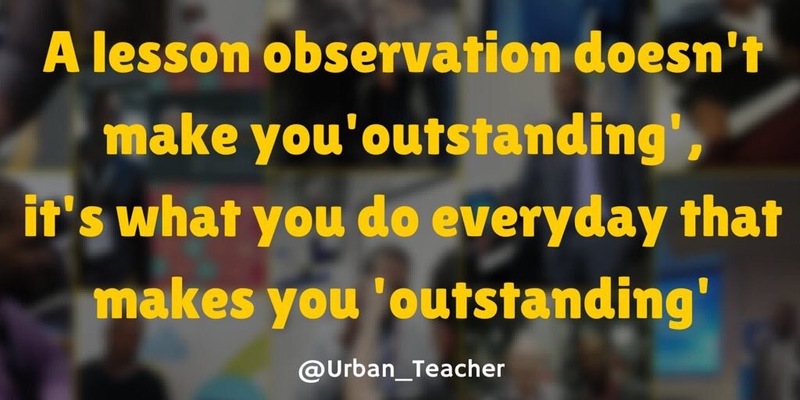 Of course, the lesson observation process is important, especially during your NQT year. Engage in discussion with the staff member observing you. Do they have a particular focus? You could explain the lesson in the context of the scheme of work and topic prior to the observation as lessons are taught as part of a sequence and unit. The lesson observation can be a very good insight and opportunity to gain purposeful feedback to support and improve your practice. One lesson cannot be a true reflection of you as a teacher. Do what you always do. Have your routines firmly in place and be prepared. 5. Put the laminator down! This again links in with time management and priorities. I actually do laminate resources if it is a resource I will use again in the future, but as an NQT I was laminating everything! I even purchased my own laminator (I’m sure I’m not alone on that one). I would spend hours creating a resource – for example, the infamous sorting cards task. I would design them on my laptop and then print out a class set, cut them up individually then laminate them (I used to get my little sister to help me out sometimes). That activity that took hours for me to prepare would be handed out to pairs at the start of my lesson and solved by some pupils in a matter of minutes. A fun little activity but not a good use of my time. That was one class and one activity – as a Secondary teacher I had lots of classes so laminating dominated my evenings! I will still ask pupils to match up keywords/ dates etc but there are much quicker and smarter ways to do this without the printing, cutting, laminating then sorting into envelopes! Project the dates and events on the board and pupils use their books to write and match them up- simple. I have never stuck to a specific marking rota or routine but instead, I use one as a rough guidance. Also, there are times I ignore the rota to prioritise e.g. times of mock exams the Year 11 pupils are keen to receive their exam results so their exam papers are top of my marking. However, during the revision period prior to the exams, Year 11 pupils kept their books so there was no marking for that class – that meant I could mark books lower down the school then post-exam period focused on upper school. Common sense but marking can quickly escalate and become a workload issue. Whether it is a rota or mark sheet in your planner find out what helps you stay organised so you are on top of your marking and workload. Much easier said than done! This applies to all staff in your school from teachers to cleaners and admin staff. Good relationships with colleagues can be really helpful and make your experience in school more enjoyable as well as having a good support network. Ultimately, just be kind to everyone you work with with the hope that kindness is always returned. Positive relationships with pupils is an essential element of classroom management. Everyone has their own style and approach. Also, check your social media settings are private as some pupils will take an interest and search online for their teachers. As well as social media settings I recommend a Google search of your name as this is likely to be the first step pupils will take to find information about you! Then you can find out what images and information is available online. Each staff room is different. Some have the same teachers sat in the same place every day, either in their friendship groups or departments. If you are new this can be intimidating but more often than not the staffroom is a friendly place to be. I know a lot of teachers that work through their lunch eating a sandwich, marking some books and getting indigestion! I was one of those teachers in my NQT year. There are times I do work during my lunch break such as printing or replying to e-mails etc but most of the time I stop, go to the staffroom, eat my lunch and chat with colleagues. Often a cup of tea and a chat at lunch is a nice way to break up the day and further develop those good relationships with colleagues. There are colleagues that I would never come across in our place of work as we often teach in different buildings lunchtime time we can have a good (yet often brief) catch up. 9. Enjoy & don’t give up! Teachers work hard throughout the year- so enjoy the holidays! I never had a gap year after University I went from A-levels to BA History degree to PGCE so I took full advantage of every half term and holiday! Work and home life balance can be a struggle for a lot of people in different professions not just teaching. I try to always have something to look forward to and motivate myself during the difficult days, which still occur from time to time… we all have those bad days that can quickly spiral and deteriorate. However, teachers also have those wonderful moments of realisation that this is the best job in the world! Those moments occur in the classroom or during a nice relaxed day in August. 10. Teach, eat, sleep and repeat. So often there are teachers ( myself included) necking back the coffee because they have been up late marking or planning or worse…laminating! We understand Maslow’s hierarchy of needs for pupils. That applies to teachers too. It is important to be rested and energised because this job certainly requires energy! Enjoy the holidays and weekends as much as you can and don’t feel guilty for switching off or having a break. I often struggled with this because the to-do-list is never ending. 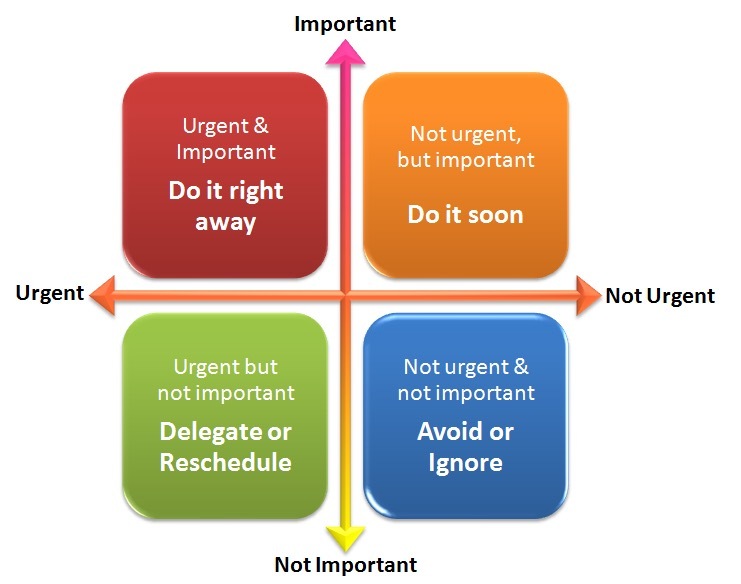 Accept the to do list is an ongoing document and prioritise, see the image below that suggests a useful strategy. We look after our pupils but just as important is to look after ourselves and the people that we love. Thanks for taking the time to read my post. 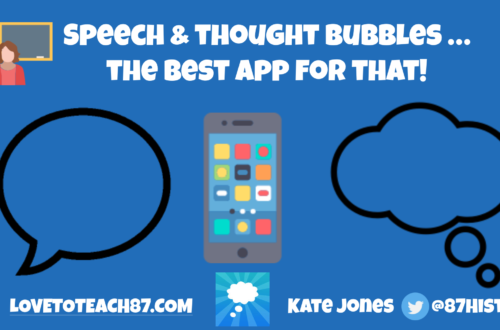 Whether you are an NQT or an experienced teacher feedback is always appreciated. 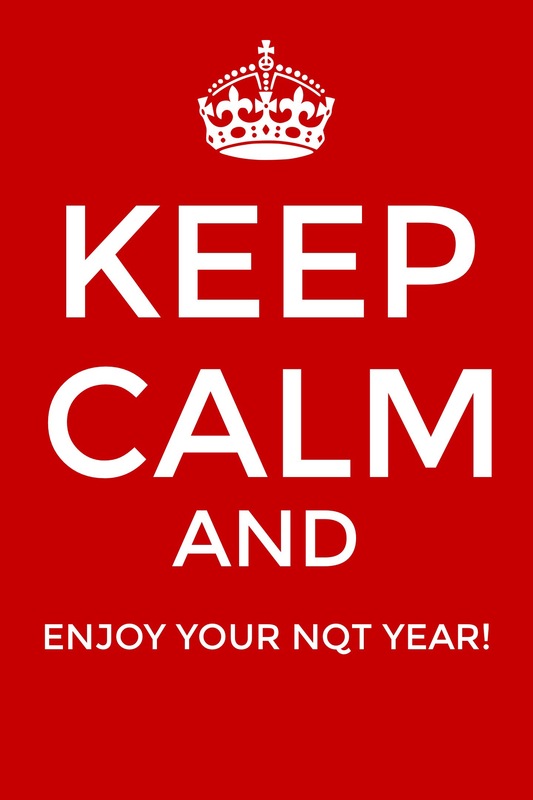 If you are completing your NQT I wish you the best of luck! You can get in touch with me via my contact page or send me a message on Twitter.